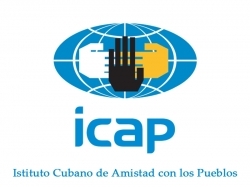 “The Cuban Institute of Friendship with the Peoples, together with its Travel Agency Amistur Cuba S.A., invites you to participate on the XIII edition of the May Day International Brigade, to celebrate the International Workers’ Day. This Brigade also pays tribute to the 60th Anniversary of the Cuban Revolution, while marking the 70th anniversary of the murder of trade union leader Jesus Menéndez Larrondo. The cost of the land package is $675 for two full weeks of activity, April 22- May 6, including education and exchanges with Cubans and participants from Africa, Latin America, Asia and Europe who we will join at the 220-person-capacity Julio Antonio Mella International Camp. The U.S. sponsoring organization is the National Network on Cuba, the U.S. umbrella organization of Cuba solidarity organizations. The NNOC is encouraging prospective Brigadistas to submit their applications right away. A U.S. passport valid through November is required, so Brigadistas are strongly encouraged to apply for or renew their passports immediately. Arrangements will be made through Marazul Tours. To download the application, payment and directions, visit NNOC.info/mayday-brigade-application/. 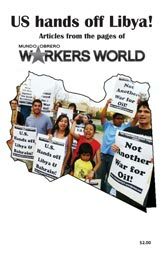 The famous march of Cuban workers on May 1, International Workers Day, and the International Solidarity Conference on May 2 will be highlights of the program. However, the brigade will travel to Villa Clara, to the sites of the historic battles led by Che Guevara in Santa Clara and Camaguey province, and will meet with workers in biotech, environmental, health and other factories and production sectors. Important updates on the Cuban electoral process and the outcome of the elections in process now will be discussed. Learn about the Cuban economic model and its updating for socialism. The economic contribution of voluntary work alongside members of Cuban youth and student organizations, like the Young Communist League and Federation of University Students, will provide real-time solidarity. Download or view the full program at NNOC.info/mayday-brigade-application. An initial webinar, “2018 International May Day Brigade: How you can go to Cuba,” is scheduled for Feb. 5 from 8 to 9:30 p.m. EST. Register for it at tinyurl.com/yclclkd4. Also support the annual travel challenges with Pastors for Peace and the Venceremos Brigade. The 49th VB application for their May Day travel challenge can be found at https://vb4cuba.com/connect-with-the-vb. LaBash is one of five National Network on Cuba co-chairs.